Bring a quirky and fun feel to your home with this set of 4 wooden biscuit shaped coasters, neatly held in a wooden holder. How better to protect your surfaces than with these fantastic little coasters. 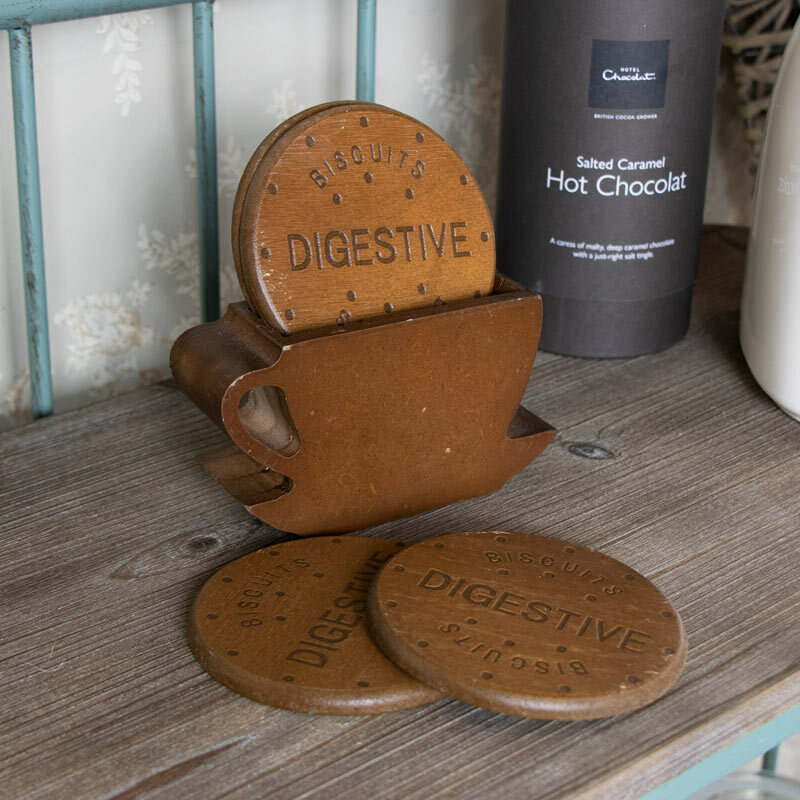 Shaped like a tasty digestive biscuit, these are the perfect placemats for your tea or coffee. Practical, stylish and fun these will protect your tables and surfaces from hot drinks and spills. Bring a quirky and fun feel to your home with this set of 4 wooden biscuit shaped coasters, neatly held in a wooden holder. How better to protect your surfaces than with these fantastic little coasters. 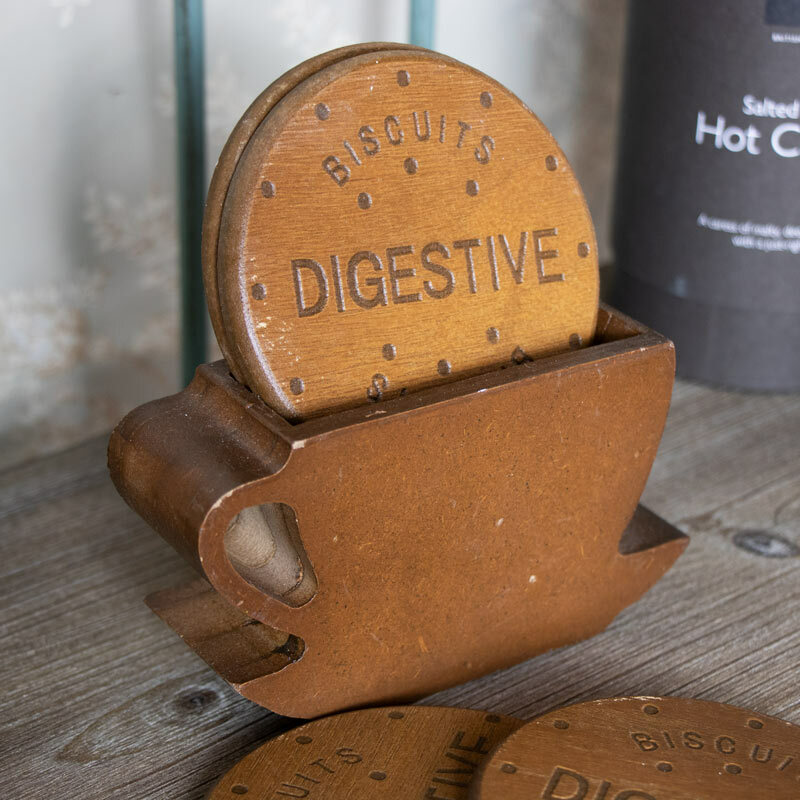 Shaped like a tasty digestive biscuit, these are the perfect placemats for your tea or coffee. Practical, stylish and fun these will protect your tables and surfaces from hot drinks and spills. The 4 coasters and holder are made from wood in a rustic brown finish. If you're looking for those finishing touches to your home or a gift for family and friends, our gifts and home accessories is just the place for you. We have a wonderful choice of those all important bits and bobs and accessories that will complete your decor.